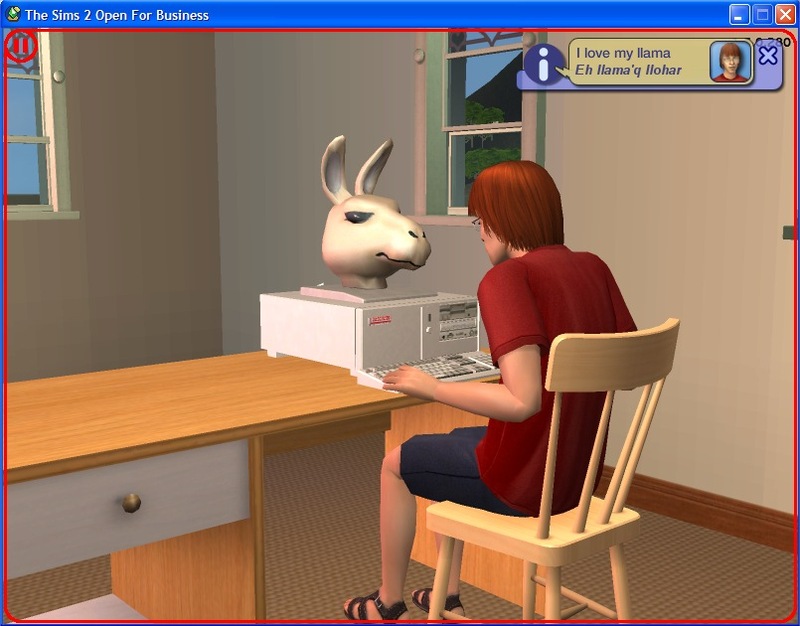 Mod The Sims - The Llamaputer - *Working* English-Llamish translator *with custom sounds*! Btw, compressing a perfectly working automatic translation routine in 450Kb would heave been a real miracle! If you want to have the Llamaputer (decorative only), download the file "DynamicDuo_Llamaputer_Allgames_col_en.lla" and just rename the ".lla" extension to ".package". to all the users that found out what that wicked ".lla" extension was! Did you liked the Llama2Pack format? Another boundary in the Sims2 modding has been broken! Finally, we can embed our custom sounds into our creations! 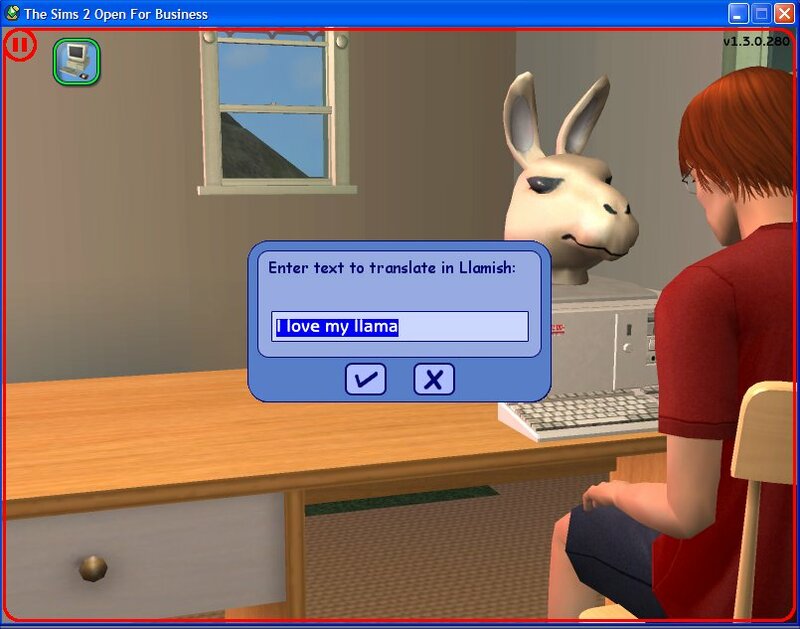 This Llamaputer not only makes a textual translation of any English phrase, but it pronounces the Llamish translation in an audible way! Just enter any English text in the Input window, and the game will pop up a dialog window containing the textual translation, and also you will actually hear the (custom) sounds associated to that llamish phrase! The Llamaputer works with any game! 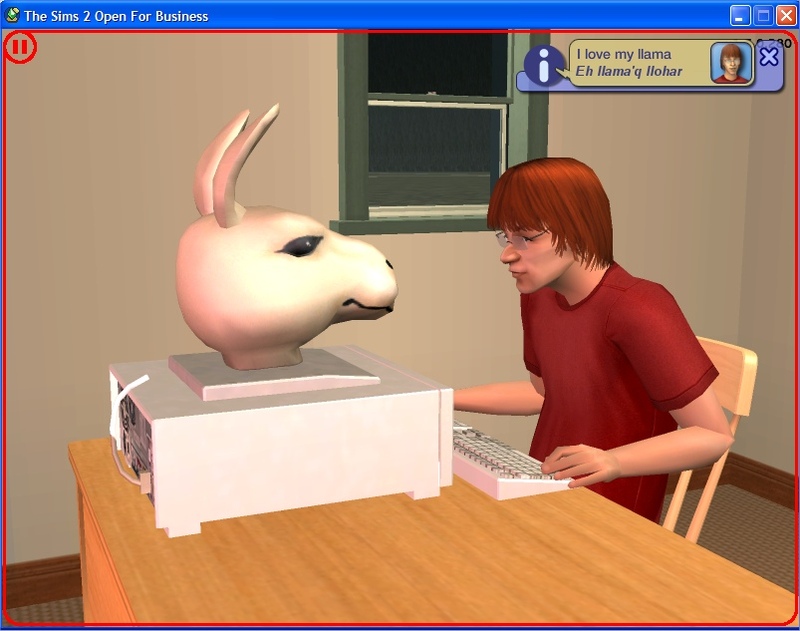 IMPORTANT: the Llamaputer is composed by TWO files, the object itself and a dictionary file (which contains the translation data). Extract BOTH files to your Downloads folder, in order for the Llamaputer to work properly. 445 people have said thanks to Dynamic Duo for this download.